How do I buy a Tapout Fitness Franchise? 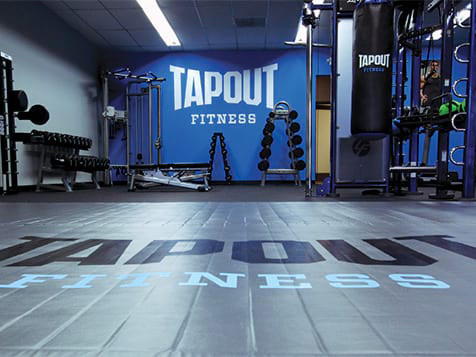 The Tapout Fitness franchise capitalizes on the general fitness and martial arts markets. To buy a Tapout requires a minimum of $100,000 and the total investment between $93,800-$566,500. The team trains, guides and supports franchisees to ensure their success including real estate, operations, marketing, sales, equipment, construction and design, fitness, technology and training. Single-unit, multi-unit, area developer, and master franchise opportunities are available in the US. Start a Tapout Fitness Franchise. The Tapout Fitness opportunity brings the “best of the best” in the fitness sector to its franchisees, providing some of the most powerful tools in the industry to help you become successful. Open Tapout Fitness in any of these available states: AL, AK, AZ, AR, CA, CO, CT, DE, FL, GA, ID, IA, KS, KY, LA, ME, MA, MS, MO, MT, NE, NV, NH, NJ, NM, NC, OH, OK, OR, PA, RI, SC, TN, TX, UT, VT, VA, WV, WY, DC. What Makes the Tapout Fitness Franchise Opportunity Significant? 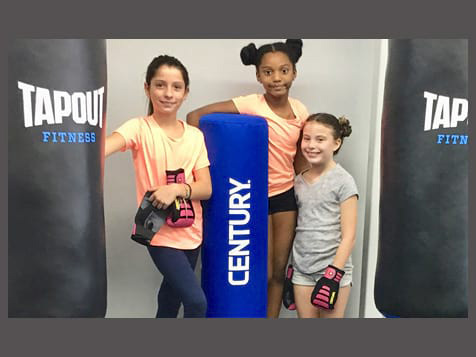 Tapout Fitness is a fast growing franchise company that offers Martial Arts infused fitness facilities for adults and children of all levels. 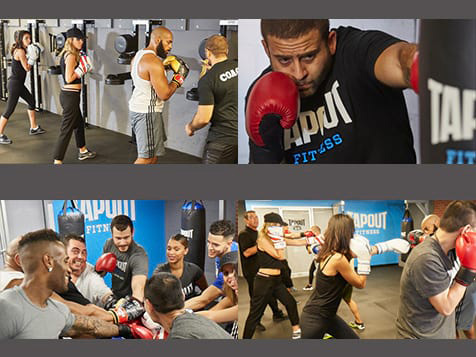 Our clubs feature Tapout Fitness branded boxing, kickboxing, boot camp and high intensity interval training (HIIT) classes, which are complemented by some of today’s hottest group fitness programming. Why Choose the Fitness industry? Health club memberships are growing with nearly one out of five Americans belonging to a health club. From 2011 to 2016, the annual growth rate of health clubs was 2.4%, while the growth rate among Martial Arts studios was 5.3%. The Martial Arts industry is highly fragmented, which presents a significant opportunity to become professionalized. Tapout is owned and operated by two powerhouse brands; Authentic Brands Group (ABG), a brand development, marketing and entertainment company, which owns a global portfolio of over 30 lifestyle, sports, celebrity and entertainment brands; and World Wrestling Entertainment (WWE), the preeminent provider of wrestling-based entertainment. Tapout's executive team has more than 100 years of experience in all aspects of health, fitness and martial arts development and management. With Tapout Fitness, you'll have a business that has instant global brand recognition, thanks to our position as the official fitness and training partner of WWE and our prolific primary brand ambassador John Cena. Our transformative fitness experience is a great value for both you and your customers. We will train, guide and support you in all key areas to ensure your franchise's success. Special Offer: Veterans and family members of veterans who qualify for a Tapout Fitness will receive a $5,000 discount off the franchise fee. Inquire now and receive more information on owning a Tapout Fitness! Tapout Fitness is not currently active in our directory, but here are some other recommended selections for you to explore.